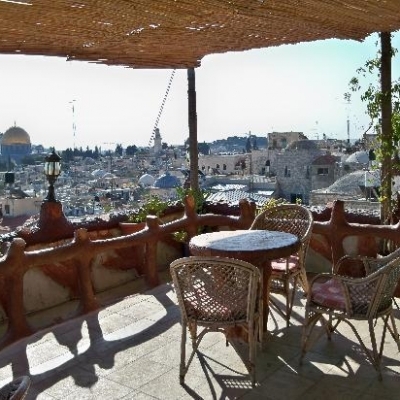 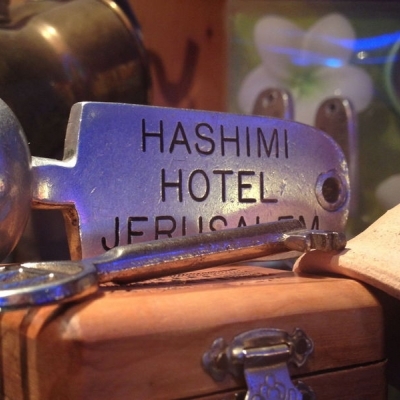 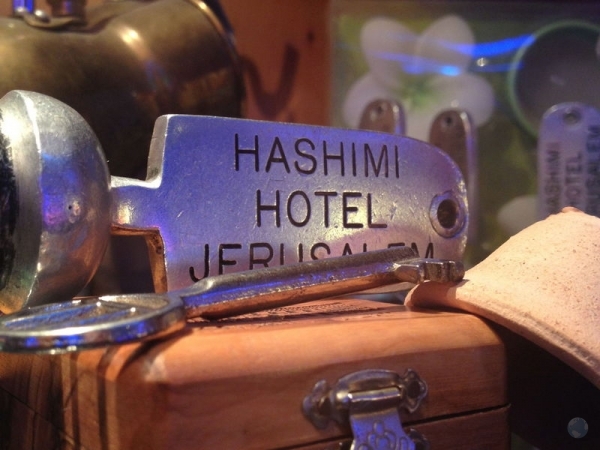 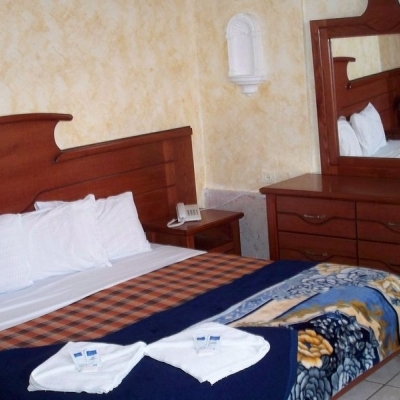 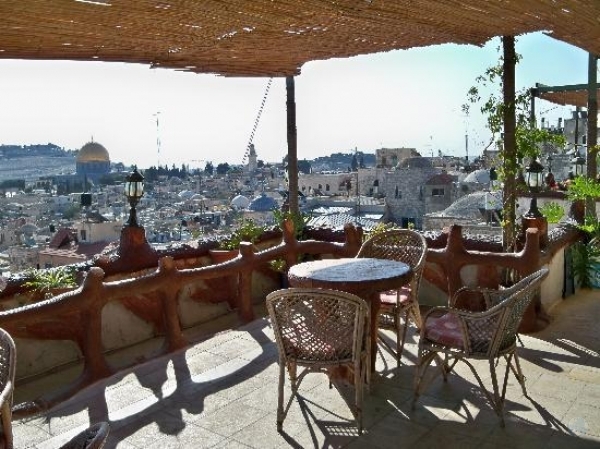 The HaShimi Hotel is the only hotel in the core or "heart" of the Old City of Jerusalem. 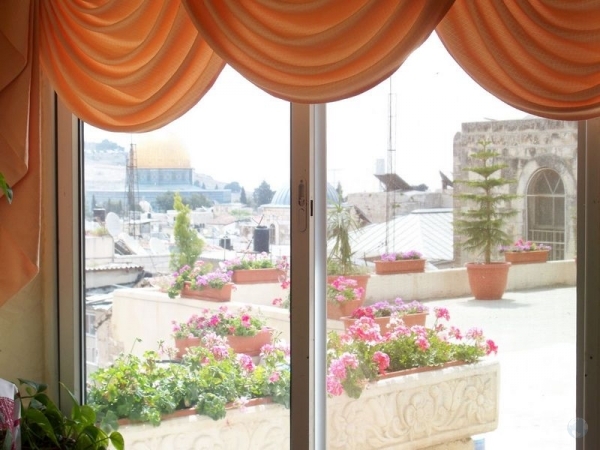 The building itself is over 400 years old! 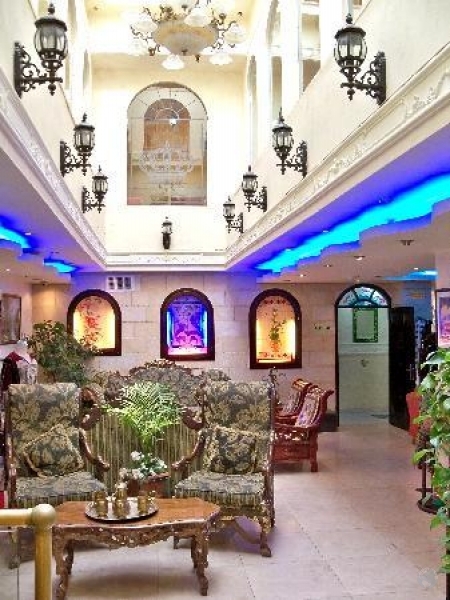 But you wouldn't know it once you're inside. 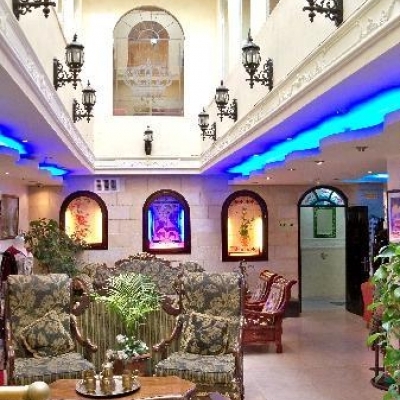 The very modern and artistic interior features marble floors, stairs and railings. 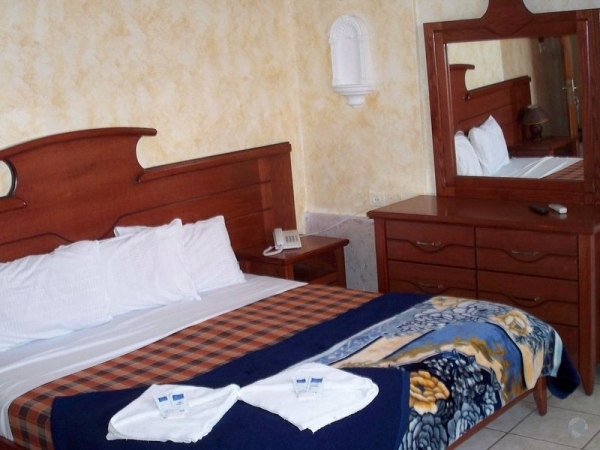 The entire hotel's color scheme is beautifully done in whites, beiges and maroons, with rich gold detailing. 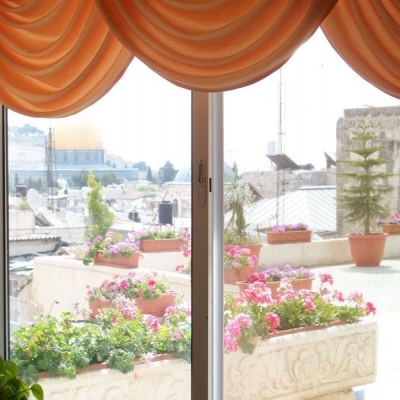 This very attractive and effective design was coordinated by Alan Salhab and his brother Ashruff throughout the hotel to radiate the warmth of Old City Jerusalem luxury.